Last week X-Yachts opened its doors to some of the journalists from the biggest sailing magazines from around Europe as we invited them to test sail the new X4 & X6. Over the course of the week each of the journalist got to sail on board each of the boats in a huge variety of conditions and thoroughly put them through their paces. The feedback from all the press was overwhelming enthusiasm for the sailing performance displayed by both. 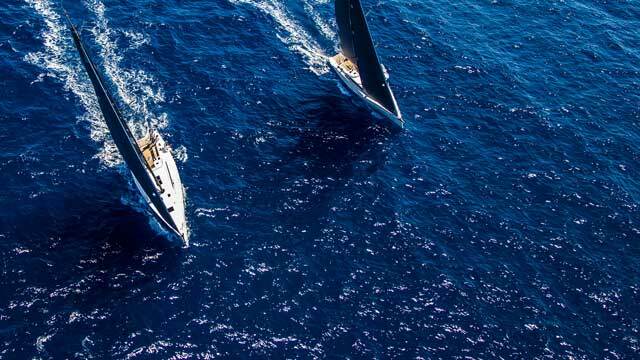 Even in light winds both the X4 & X6 sailed exceptionally well, and as the wind increased the X-Yachts performance heritage became apparent as both boats picked up speed and effortlessly powered along at exciting speeds while remaining stiff and easy to handle. Everyone was also very impressed with the size and style of the interiors, commenting that they are much more in style with the modern yachting interiors that are designed to give a much more luxurious spacious living accommodation. With the designers at X-Yachts managing to create another yacht with the superb sailing characteristics synonymous with X-Yachts while also incorporating the modern living styles expected of modern high end yachts, the new ‘X’ range really is the best of both worlds.